From flown roofs of a nearby covered court, they started to rebuild their house. Yolanda took their small sari-sari store together with her medals and certificates. Mae Joy is an achiever since she started schooling. Despite this, Mae Joy remained hopeful. She wants to take Mass Communication and be the next Gretchen Ho of ABS-CBN’s morning show, Umagang Kay Ganda. 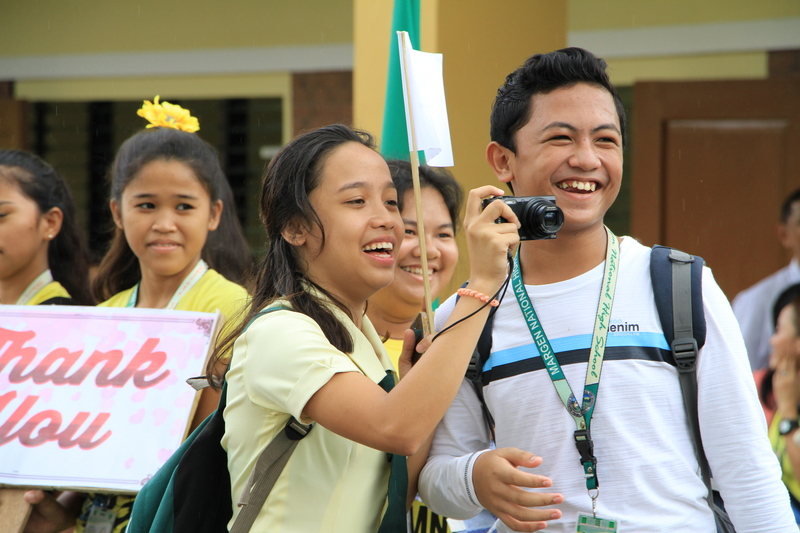 Mae Joy (left), a photo journalist of her school, takes photos of the Yolanda Legacy Project turn-over. 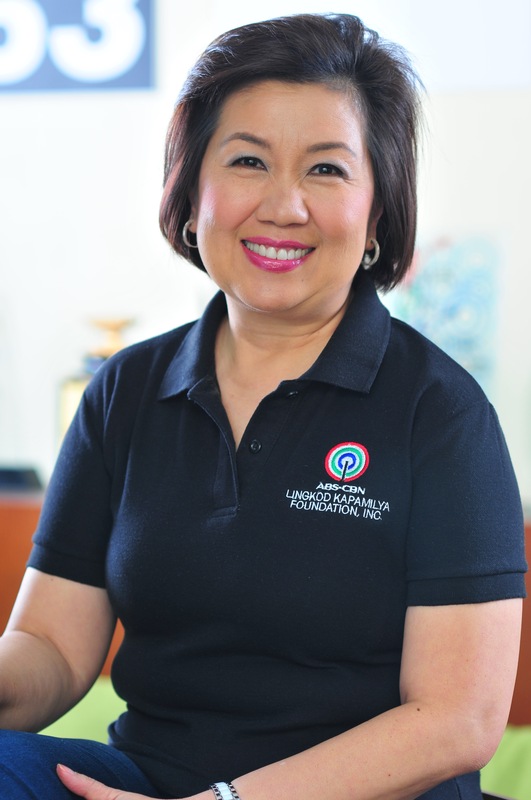 Mae Joy is one of the students from whom ABS-CBN Lingkod Kapamilya Operation Sagip draws inspiration to rebuild the community by building disaster-resilient classrooms after the disaster. According to Jose Pilapil, the principal of Margen NHS, Super Typhoon Yolanda took their classrooms. Every classroom lost its roofs and the walls were dilapidated. It took a year before they recovered. Margen NHS is one of the four recipients of Operation Sagip’s Yolanda Legacy Project. In collaboration with Energy Development Corporation for the project implementation and the free design given by Sy^2+ Associates and Casas+ Architects, the Yolanda Legacy Project is a two-storey disaster-resilient multi-purpose building with eight classrooms that can withstand 300kph of wind and at least 7.2 magnitude of earthquake. The building can serve as an evacuation area once a calamity strikes. It also has a PWD ramp, a kitchen, a shower area, and comfort rooms to cater to the needs of the evacuees. The classrooms have high ceilings, are well – ventilated and complete with electricity, armchairs and blackboards. During the turn-over ceremony, Eugenio “Gabby” Lopez III, ABS-CBN Lingkod Kapamilya Foundation, Inc.’s Chairperson, encouraged the students of Margen NHS to continue to move forward. “To our student beneficiaries, keep on putting one foot in front of the other, despite the challenges and storms that will come your way,” he enthused. More than 1,100 students and more than 40 teachers will directly benefit from the new building. “It is dedicated for the senior high school program’s technical-vocational-livelihood tracks. And next year, we are expecting that our students will be around 1,600 to 1,800,” Pilapil pointed out. “Operation Sagip’s Programa Genio also gave us text books and musical instruments for our Rondalla Band,” he added. “We want to help not just the students but the community. Building classrooms which can eventually be used as evacuation centers is a part of our disaster resiliency plan,” Higino Dungo, Jr., Operation Sagip’s Program Director explained. Aside from the school building, text books, and musical instruments, Operation Sagip also plans to further assist Margen NHS with educational soft programs. “With Programa Genio, we are doing an industry scan around Ormoc so we can see the skills of the people. With this, we will find the right training and equipment for our senior high school students so whether they pursue higher education, or be employed, or start their own businesses after senior high, they are more prepared to do so,” Dungo expressed. Initial plans include donating equipment for cookery and impart training on Hospitality Management. To date, Operation Sagip, together with Energy Development Corporation, already completed 135 disaster-resilient classrooms which were designed pro bono by Sy^2+ Associates and W.V. Coscolluela and Associates Architects. 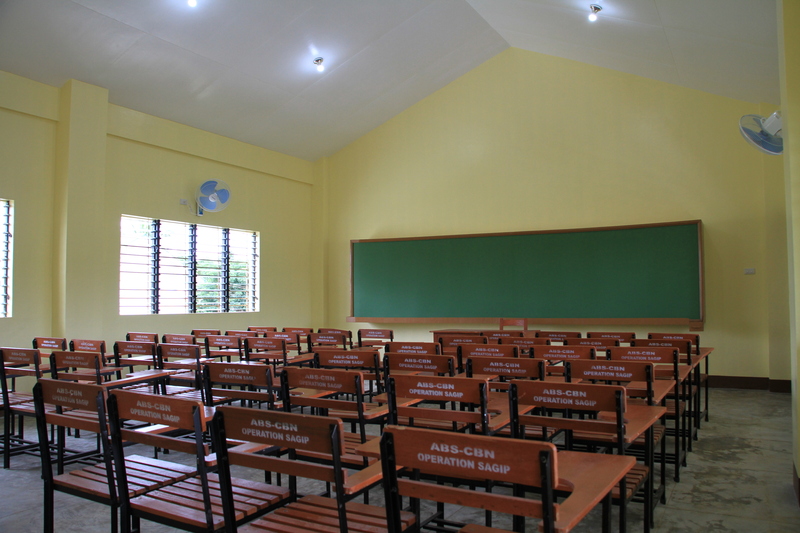 More than 6,000 students directly benefit from these classrooms in the provinces of Eastern Samar, Samar, Northern Palawan and Panay Islands which consist of Aklan, Antique, Iloilo and Capiz. Three more Yolanda Legacy Projects are expected to be turned-over on the first quarter of 2019. These are in Eastern Visayas State University in Tacloban, Leyte; Guiuan National High School in Guiuan, Eastern Samar; and Roberto H. Tirol National High School in Concepcion, Iloilo. 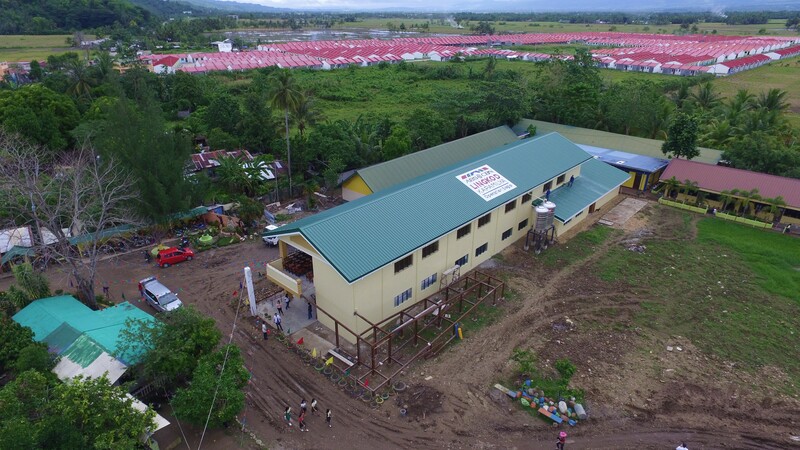 The Yolanda Legacy Projects are funded through more than P1 billion donations from different companies, organizations, and individuals following Typhoon Yolanda. Operation Sagip’s interventions include relief operations to more than 3.6 million survivors; construction of disaster-resilient classrooms; implementation of educational soft programs and provision of senior high school equipment together with Programa Genio to more than 50,000 students and 1,900 teachers; and implementing sustainable livelihood programs to more than 45,000 beneficiaries in partnership with ABS-CBN Lingkod Kapamilya’s Bantay Kalikasan. To know more about Operation Sagip’s Yolanda rehabilitation efforts, follow #SagipYolanda online or visit www.abs-cbnfoundation.com.